Thinking about buying a secondhand or used Dutch Bike? 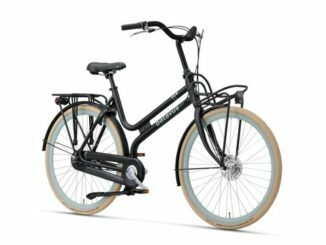 If you can’t quite manage a new Dutch bike, purchasing a secondhand Dutch bike, or used Dutch bike can make for a great and usually cheaper alternative. 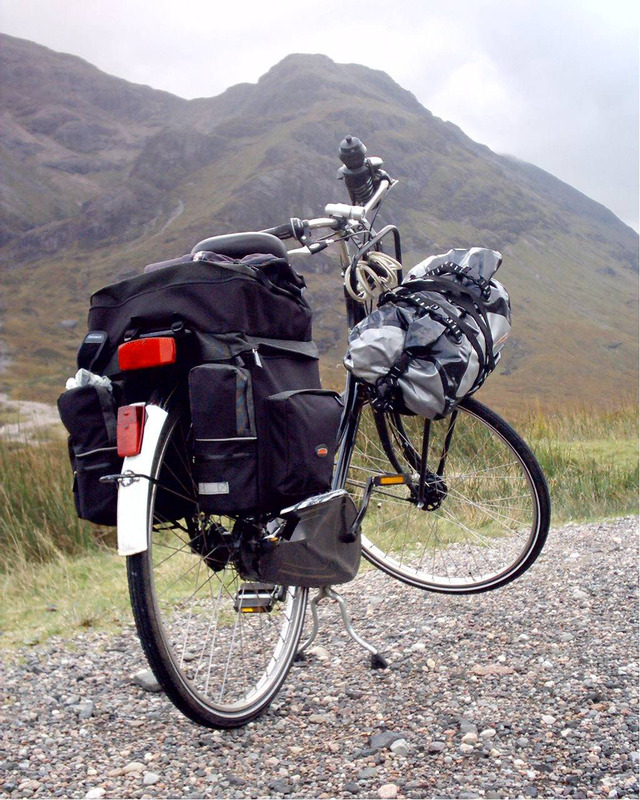 When you consider that a new genuine| Dutch bike will usually cost you upwards of £500. 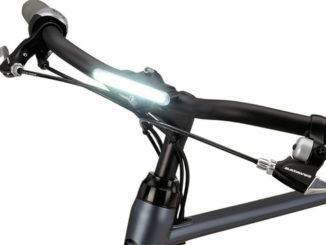 In fact, most of the new hybrid style Dutch bikes will come in at around £700 new. For us in the UK, this may seem like an expensive bike, but this really is only because typically the UK bike market buys cheap. Yes, you’ll have the friends, colleagues at work who all buy the ‘expensive’ road or mountain bike, but the truth is that the average spent on a new bike in the UK sits somewhere around the £80 mark. While the average purchase price in the Netherlands and elsewhere in Europe is around 700euros. New Dutch bikes represent excellent value for money. When you cnsider just how much you get with a new Dutch Bike – for example, hub gears (as opposed to cheap and nasty bottom end derailleur gears as are fitted to mostly all cheap bikes), hub breaks, quality tyres, dynamo lighting and/or battery lighting, carriers, mudguards, side stands, stainless steel spokes, quality saddles, hand grips and so forth – these are all components that impact on the final cost of your bike. I guarantee you that no UK brand at the moment can offer you a like-for-like better price or lower weight on a bike from Batavus, Gazelle or Azor – three of my favourite Dutch brands. And, with the added benefit that Batavus (and the others named) bikes are all assembled in the Netherlands or elsewhere in Europe. A big selling point for Dutch Bikes is that they’re all fully built prior to dispatch to the bike dealers. Not everyone is aware that pretty much every bike you buy in a bike shop in the UK arrives flat-packed at the dealer and they build the bike for you. Nothing wrong with this method, however, nothing can compare to the quality of a factory built bike. So it’s worth remembering when you’re comparing prices of bikes that all major Dutch Bike brands – Batavus, Gazelle, Azor, Koga are factory built. Quality comes at price, thus you’re going to pay more for a new Dutch Bike than you would a similar UK branded bike. So with increased interest in Dutch bikes, comes increased demand which hasn’t led to new prices increasing, but has seen prices of used Dutch bikes soar. Hence, we’ve seen an explosion in the sale of secondhand or used Dutch Bikes. Some companies are now trading entirely on imported secondhand Dutch Bikes and can offer some savings on the price of a new Dutch bike. However, if you are considering buying a used or secondhand Dutch bike, then you need to be aware of some of the main pitfalls, hence this feature. Some prices really are ridiculous. There’s seems to be a widespread misconception that an old Dutch granny bike is somehow worth a small fortune. Trust me, it’s not and if anything you’d do well to steer clear of these elderly bikes, many of whom will need substantial work and money to get back into any real usable condition. If you’re looking to buy a used Dutch bike, then I can offer the following advice. When it comes to secondhand Dutch bikes you need to be aware that in the Netherlands bikes are ridden extensively; every day, in every weather. So when it comes to wear and tear, they really do take a pounding. While Dutch bike frames might last for a lifetime, components don’t. Remember this when you’re looking at a used Dutch bike. Ask the seller how old it is? A good buy would be somewhere within 5 years. Anything after this and the chances are you’re going to have to have lots of the components replaced. Fine if it’s just tyres, but it you’re talking gears and brakes then you’re really talking big money. I will come to gears and brakes in a moment. The reason I choose up to 5 years as a good benchmark is that this is the age where the big Dutch brands tell me that their customers change their bikes. Five years seems to be the lifetime for many as at this point the bike still might have a small trade-in value against a new one, and it’s at this point that things can usually be expected to need replacing. On the other hand if you’re Dutch bike has been imported new at some point into the UK, it will usually have had far less use that were it in Dutch ownership. So you could then look a bike anywhere up to 10 years. 10 years should be your limit when it comes to age unless you’re an enthusiast looking to collect as quite a lot of advances have been made in the construction of Dutch bikes, for example, gears and hubs. It’s also unlikely that like-for-like parts can be sourced for your bike – for example, chainguards, mudguards and so forth. We regularly get emails beginning “We have just bought an old Dutch bike and we’re looking to restore it..” Then follows a long list of parts that they want all painted in original colours, and oh, would we mind providing them with the original manual. The Dutch Bike industry in the Netherlands is enormous with over 2 million new Dutch bikes being sold every year generating fierce competition amongst rival brands. The idea that there’s a small little factory somewhere with a couple of blokes wearing clogs who will be happy to provide you with the original parts for your elderly Dutch bikes isn’t realistic. A bit like phoning up your local Ford dealer and asking for a set of rear doors for your mark 1 cortina. Most Dutch bikes, or at least the ones imported to the UK will have hub gears. Hub gears are very common in European bikes. They were at one time very common in UK bikes – think back to the Raleigh chopper with its 3 speed Sturmey Archer gears. The benefit of hub gears is that they’re easy to use – for example, you can change gear when stationery and they’re also typically require less maintenance. The downside is, they cost significantly more than the typical derailleur gears found on most ‘Dutch Style’ UK bikes, or hybrid bikes. For example, a 7 speed shimano nexus hub gear can cost circa £150 just for the hub itself without fitting it to the wheel. Easy to see then if you’ve bought a used Dutch bikes and the gears aren’t working – or nearing the end of their useful life, you’re looking at splashing out on a new hub and fitting. You may also find if the original hub may need a new handlebar changers which are an additional cost. 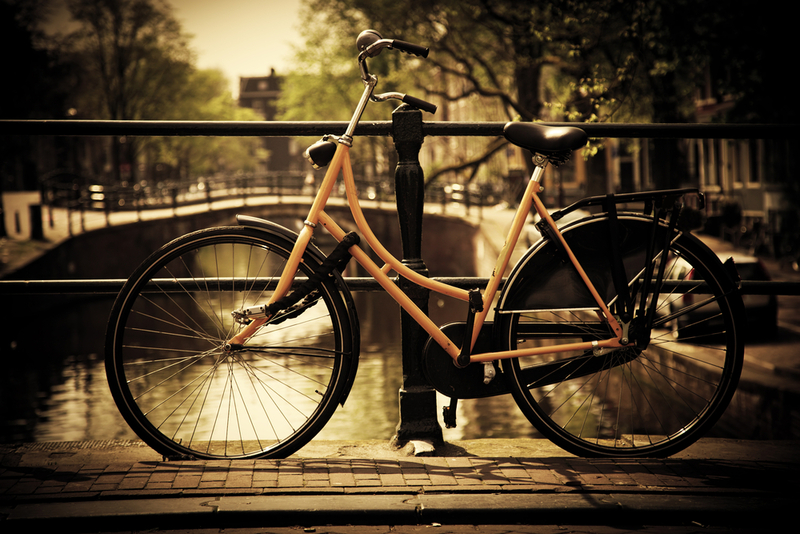 So – if you’re buying a used Dutch bike – make sure you test ride the bike and ensure all the gears changing correctly. 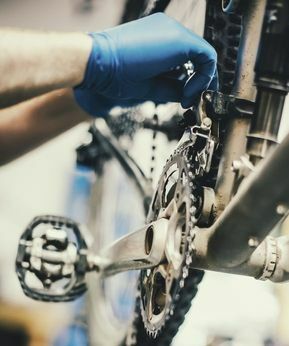 It may be that they require some minor adjustments to get them working again – the usual line given by some unscrupulous sellers – “just take it to the bike shop for a quick adjustment..” Or it may be that it requires a new hub. My advice, if the gears aren’t working correctly – walk away. If they seller says they can be ‘easily fixed.’ Get them to ‘easily fix’ them. Our workshop gets calls every week from people who’ve bought gears that are beyond their useful life. Repairing them is uneconomic. Without exception they’ve all been told ‘they’re easily fixed.’ Just remember if the seller can’t demonstrate to you a working bike – in every way – you’re going to have face further costs to put these things right. Our labour rate is £45 an hour. Many other bike shops, particularly London bike shops charge upwards of this. As with gears, brakes should also be in full working order when you inspect the bike. Take it for a test ride and see how effective they are. Most modern Dutch bikes (less than 10 years old) will be mostly using Shimano roller brakes. These are easily serviced and repaired. So if the bike has these fitted and the braking is poor or soft, a good bike shop with experience of working on these types of brakes will be able to adjust them for you. Or worst case scenario, have them replaced. If your Dutch bike pre-dates these and are using the traditional Dutch Bike brakes with shoes, then you have to be careful. Many of these systems are pretty antiquated and beyond economic repair. Also many used asbestos in the linings and therefore we would be unwilling to work on them as they pose a risk to our staff. There are lots of good used secondhand Dutch bikes out there. We’ve sold many new Dutch bikes over the years – we’ve probably sold most of them originally as new bikes… So they are around. If you’re buying privately, you’ll probably get a good bike that’s relatively new. Unless of course, you buy privately from someone who has bought a secondhand Dutch bike to begin with. This is quite common, so you need to be aware and check what you’re being told. Buying from a dealer – dealers make money -that’s the nature of business so beware that it’s not in the interests of the dealer to invest money in a bike to re-sell. Many will want to just turn around what they’ve bought. So beware of this when viewing. I’d never recommend you buy a used Dutch bike online and have it shipped to you without first seeing the bike unless of course its from a reputable dealer. If the dealer isn’t part of a bike shop, be very careful. We’ve regularly been offered batches of used Dutch bikes by dealers in the Netherlands that they say are suitable for the UK. Of course they’re suitable for the UK as few in the Netherlands would buy them given their uneconomic state of repair. Be as careful buying a used Dutch bike as you would a used car. See the bike ‘ in the flesh’ so to speak. tyres – these can be replaced, so if the tyres are worn – factor this into your costs and reflect this in your offer. Above all, remember that if the bike has originated from the Netherlands, it most likely will have been ridden extensively. Component parts – gears and brakes wear with usage as do tyres and so forth. It’s unusual for us to meet customers who have paid upwards of £300 for a used Dutch bike which requires substantive money being spent on it to bring it up to a ride-able standard. Please note – We no longer sell Used Dutch Bikes.